Hitler je v svojem testamentu dejal: "4. reich, ki bo vzklil na pepelu 3. reicha, bo federalno urejena Evropa, ki jo bo vodila Nemčija." Točno to je danes EU. 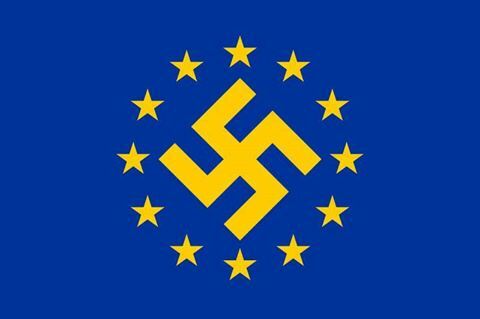 Izstop iz EU! Izstop iz Nata! "It is to re-create the European Family, or as much of it as we can, and provide it with a structure under which it can dwell in peace, in safety and in freedom. 'Declaration of Union’ between Great Britain and France.